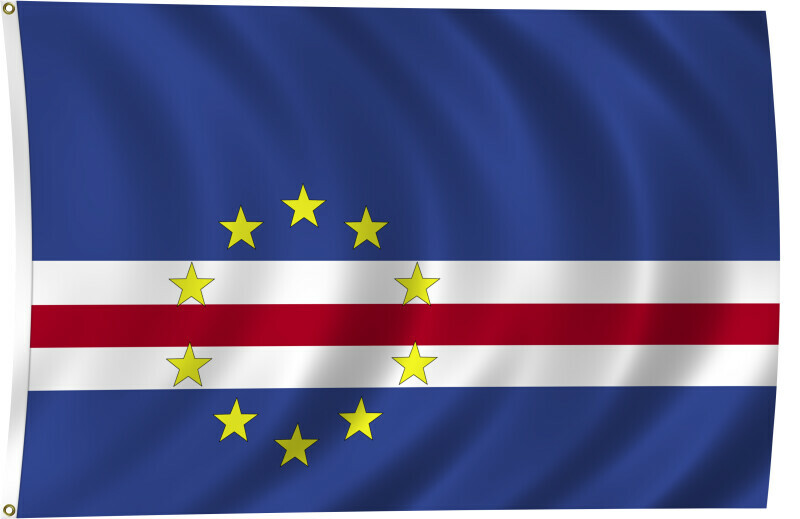 Color flag of Cape Verde. Five unequal horizontal bands; the top-most band of blue - equal to one half the width of the flag - is followed by three bands of white, red, and white, each equal to 1/12 of the width, and a bottom stripe of blue equal to one quarter of the flag width; a circle of 10, yellow, five-pointed stars, each representing one of the islands, is centered on the red stripe and positioned 3/8 of the length of the flag from the hoist side. Flat color and black/white versions of world flags are available on the Clipart ETC website.